City Commissioner Chloe Eudaly has been asked to speak along with other activists. A variety of activists from students to Oregon Physicians for Social Responsibility gathered Wednesday morning at Portland City Hall to speak out against the expansion of the Zenith Energy oil terminal in city's Northwest industrial district. City Commissioner Chloe Eudaly was asked to speak. Other groups represented at the rally included Friends of the Columbia Gorge, the Center of Sustainable Economy and the Raging Grannies. 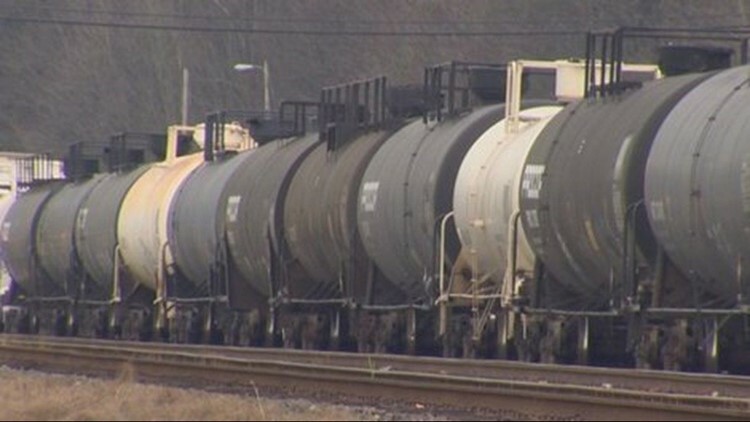 According to a study by the Multnomah County Office of Sustainability, as many as 12 trains carry a million gallons of crude oil through the county. A fourth of the population lives within the half-mile evacuation zone along the route. Earlier this year, Zenith spokeswoman Megan Mastal told Oregon Public Broadcasting in a prepared statement that "the multi-million-dollar project will provide an even safer and more efficient operation." Below is a KGW file video of the oil train crash in Mosier.